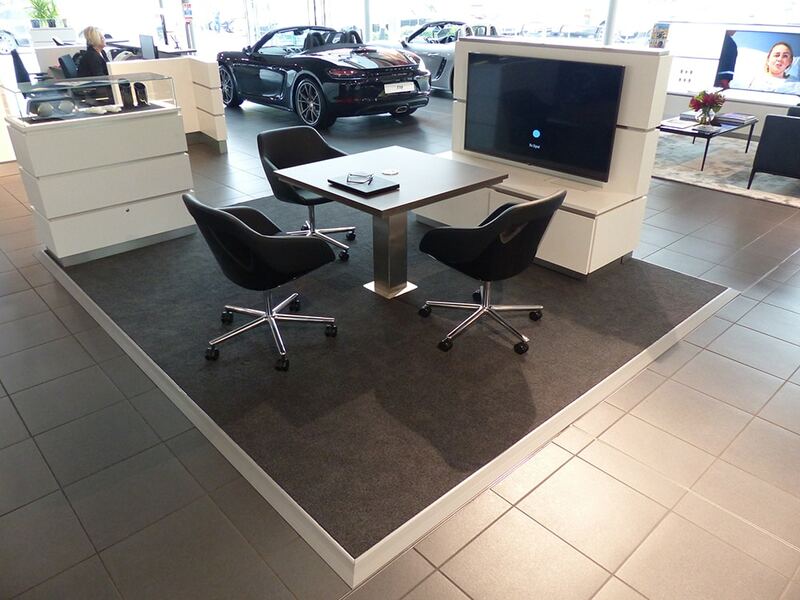 Are you looking for office flooring? Is your office in a listed building? Does your ceiling height reduce your options? 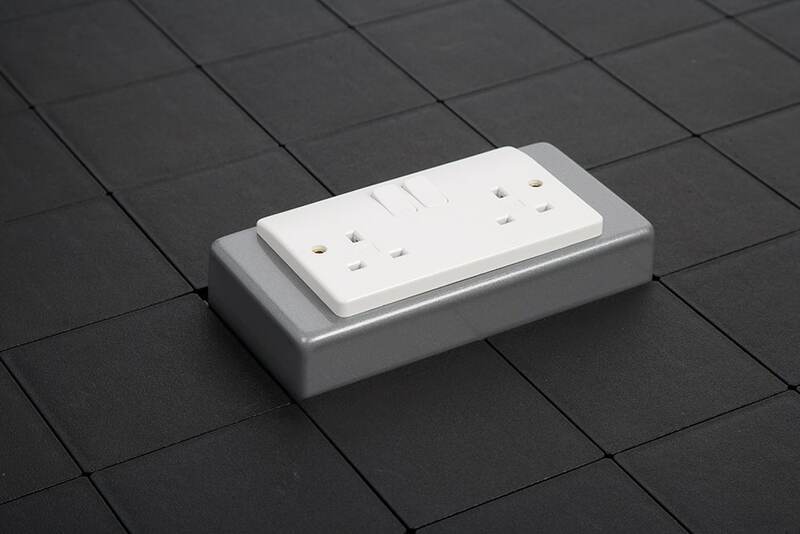 Do you want to eliminate trip hazards and hide cables? 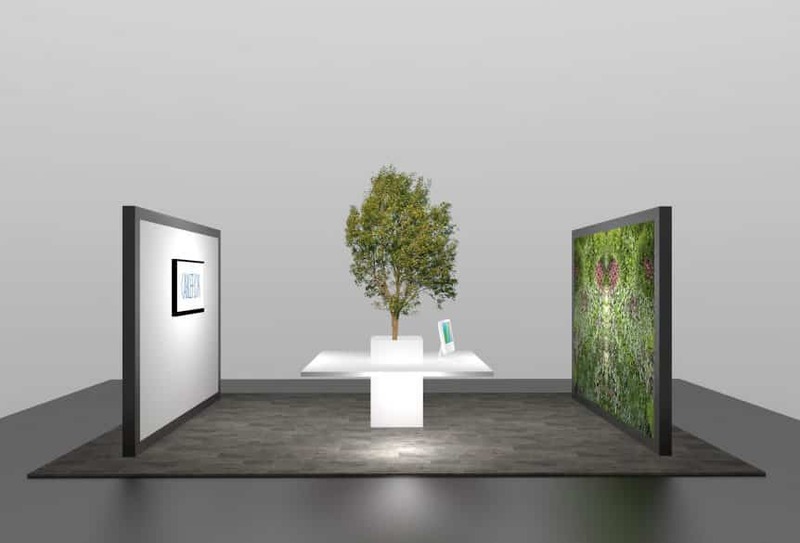 Do you want your office to look good? Do you have a time constraint for installation? If Yes to any of these, then Cableflor could be your solution. 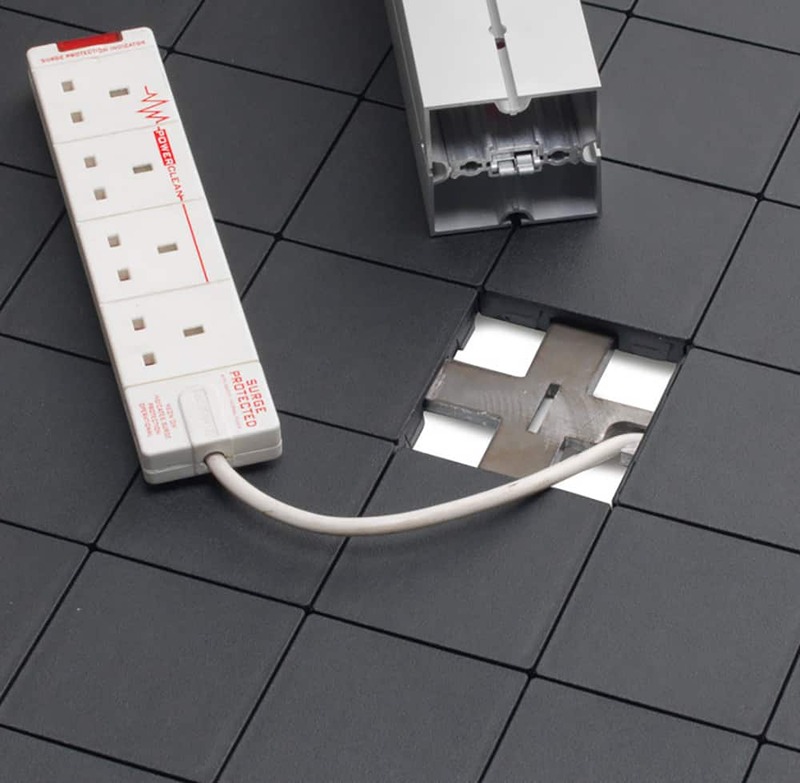 Make no impact to your room height with Cableflor at just 2cm high. In addition, cable management is standard. 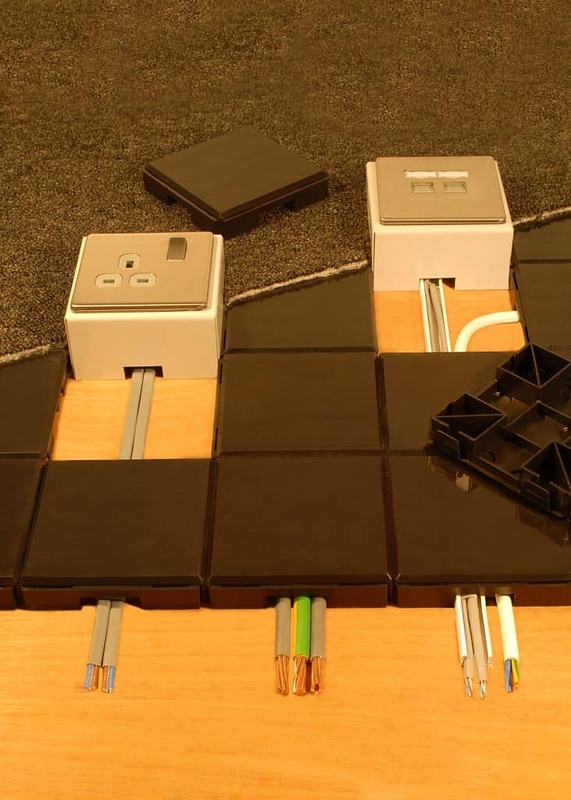 Hide your cables and run as many as you need under your office floor, in any direction. 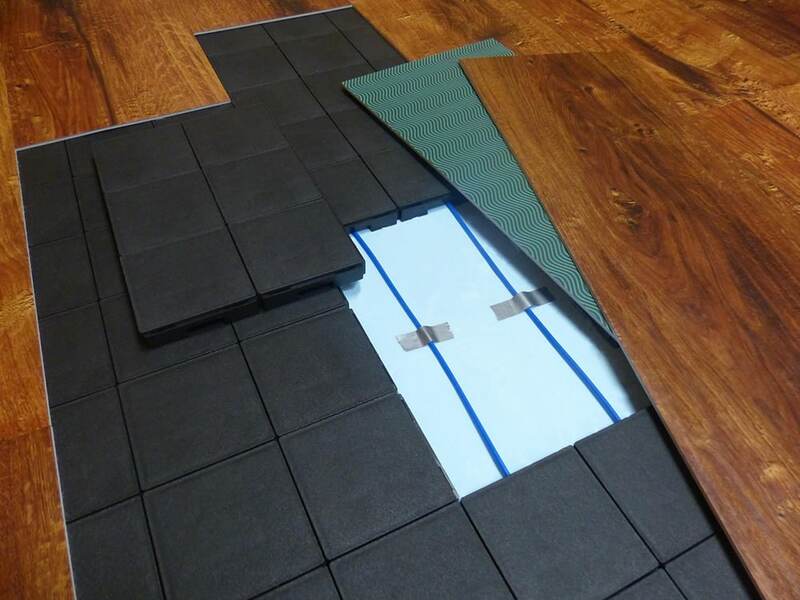 The floor comes in 10cm square tiles, that just clip together. Each tile has a channel in both directions to run cables through. 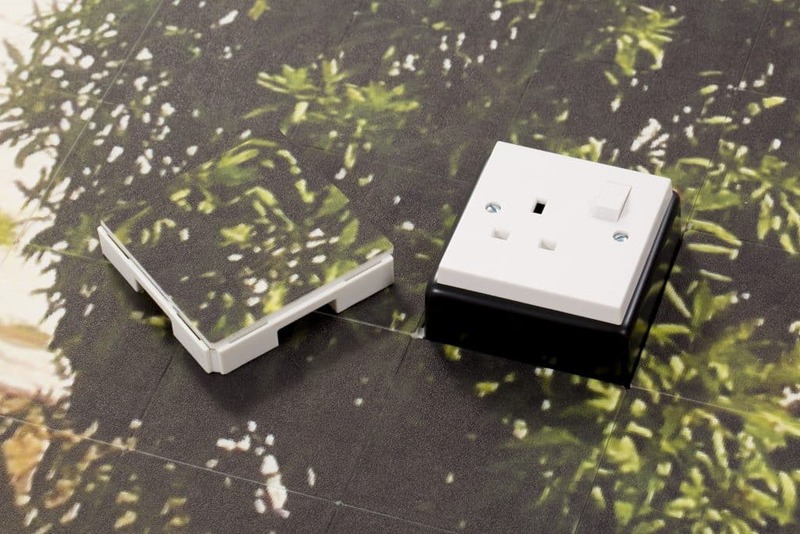 Bring to the surface exactly where needed by popping out a tile. Several options exist for inserting sockets. Listed Building or Strict Rental Regulations? Cableflor is simply laid on top of the existing building floor. 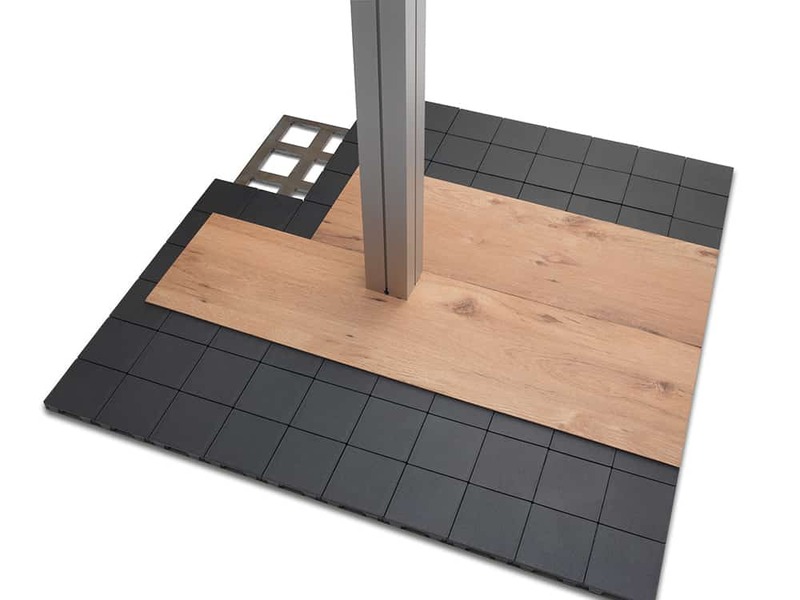 Listed buildings, or those with limited permissions on fixings, are ideal for our flooring. 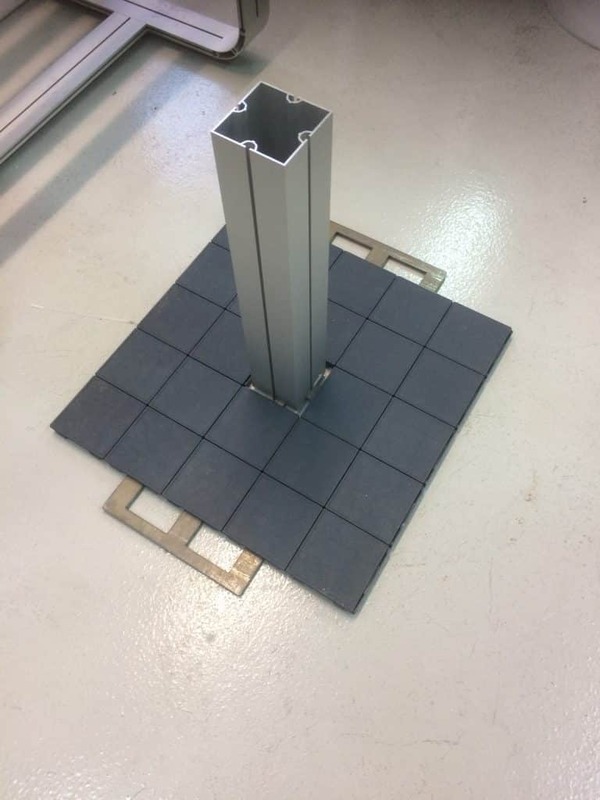 Size to the nearest 10cm by simply removing one row of tiles, allowing fitting around corners, columns, doorways and much more. 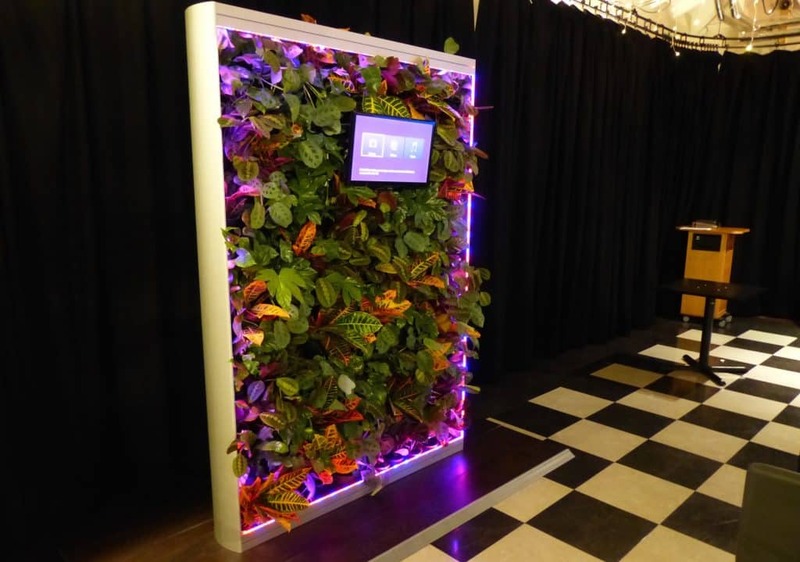 This makes it highly adaptable and can be taken with you to your next office or if you decide to reconfigure. 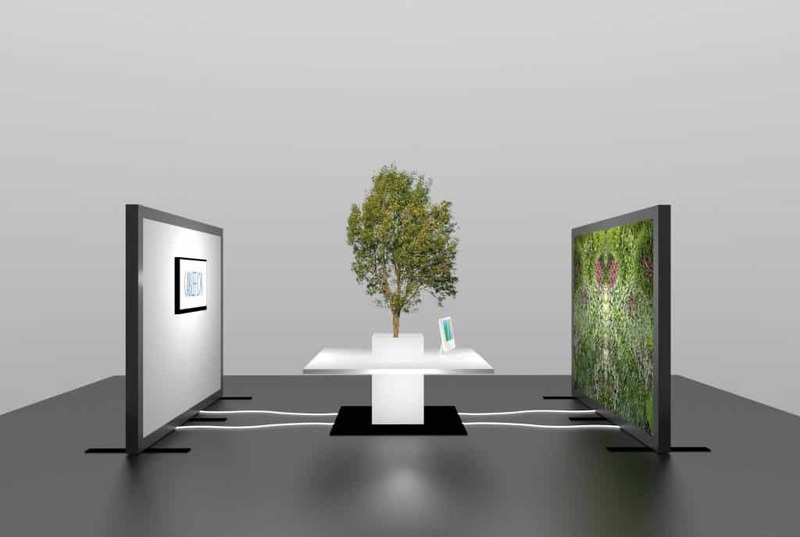 Our working environment is just as important as our homes, if not more so, in affecting our mental and physical health. Cableflor comes in a fantastic choice of naked finishes or use overlays to give a wood, stone or concrete finish. Make your office feel tidy, fresh and modern. 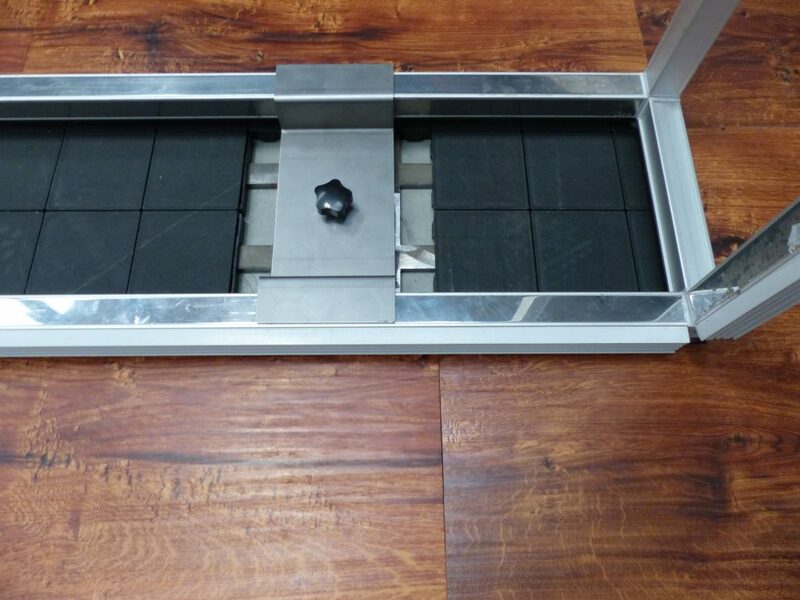 As well as hiding cables, we make underfloor bases to support partition walls, plant walls or even tables with no visible footings. Read Minutehack’s article which suggests ten ways to improve your office environment and makes interesting reading. We make our smooth black flooring from plastic that gets thrown away such as old toys, cds and many other products that would otherwise be in landfill. We will take back any Cableflor office flooring you no longer want and recycle it again plus offer a discount on further orders if you recycle this way. 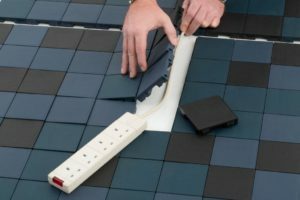 Read our blog on the sustainability of Cableflor and how using it will enhance your company eco credits. 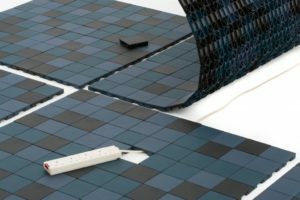 Whether you want to re-fit a huge space or a tiny office, Cableflor is a cost-effective solution because it is a one-component modular floor system. Furthermore, there is no need for platforms, supports or fixings which would cost extra. 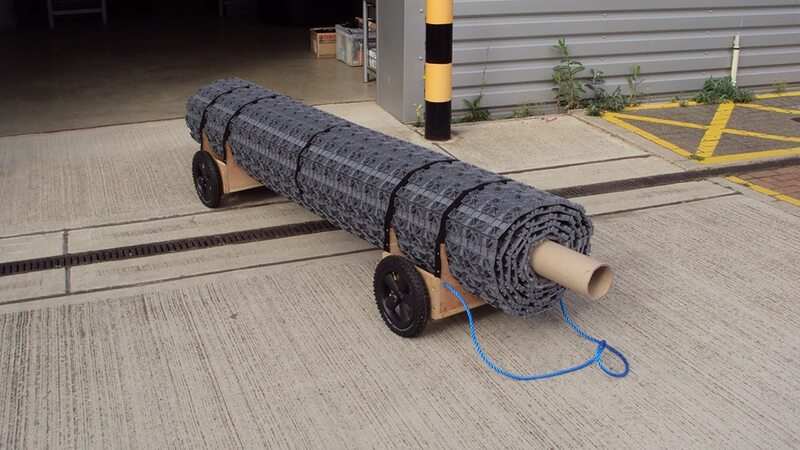 We offer a generous discount on large orders and a lifetime guarantee on our recycled floor orders. 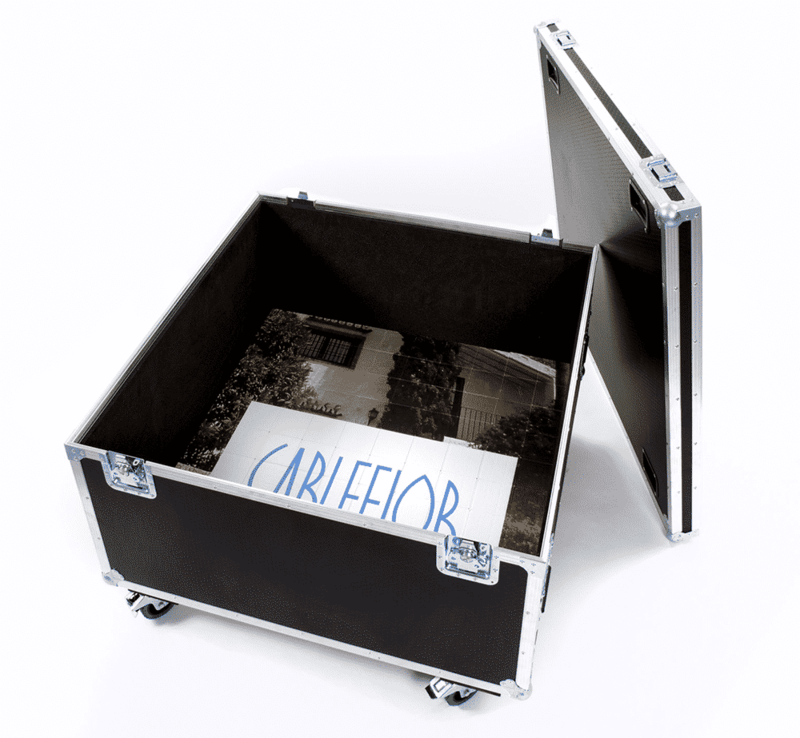 Transport Cableflor easily as it is relatively lightweight compared to other raised flooring office systems. 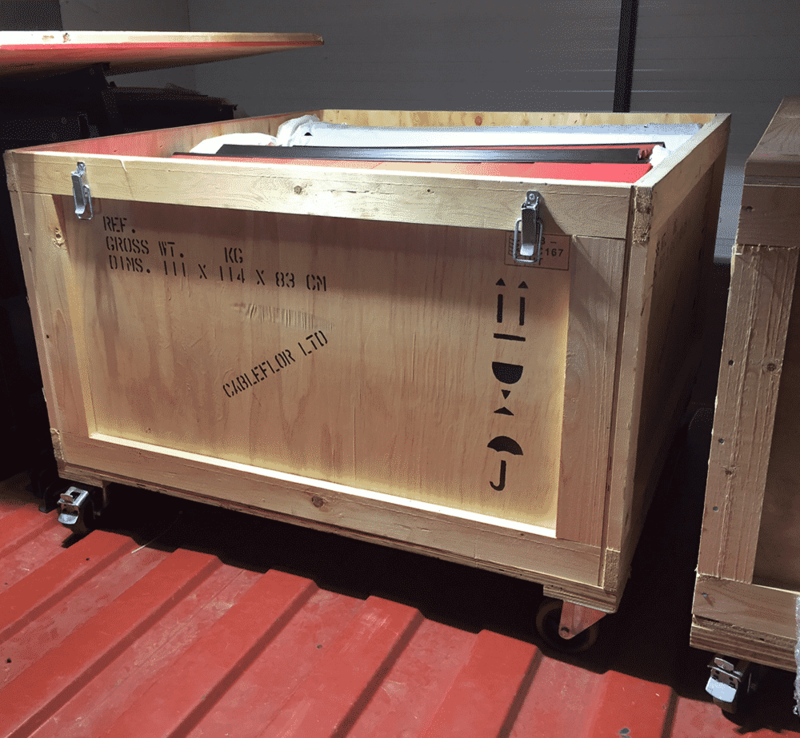 Manufactured in metre square sections which can be transported and stored in wheeled flight cases. 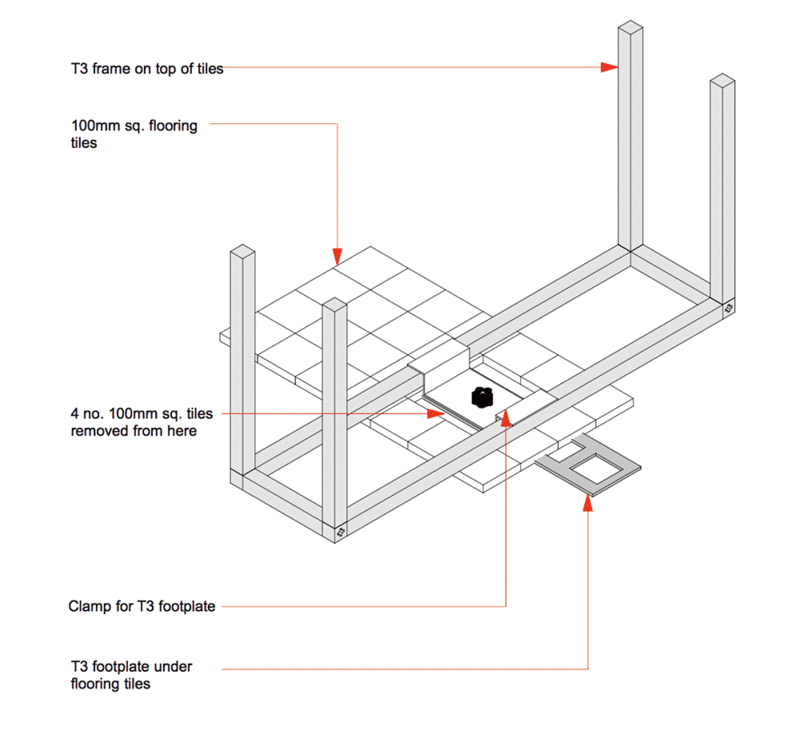 Installation is quick because no tools or fixings are required. Contact us if you would like to discuss your options for your upcoming office re-fit.